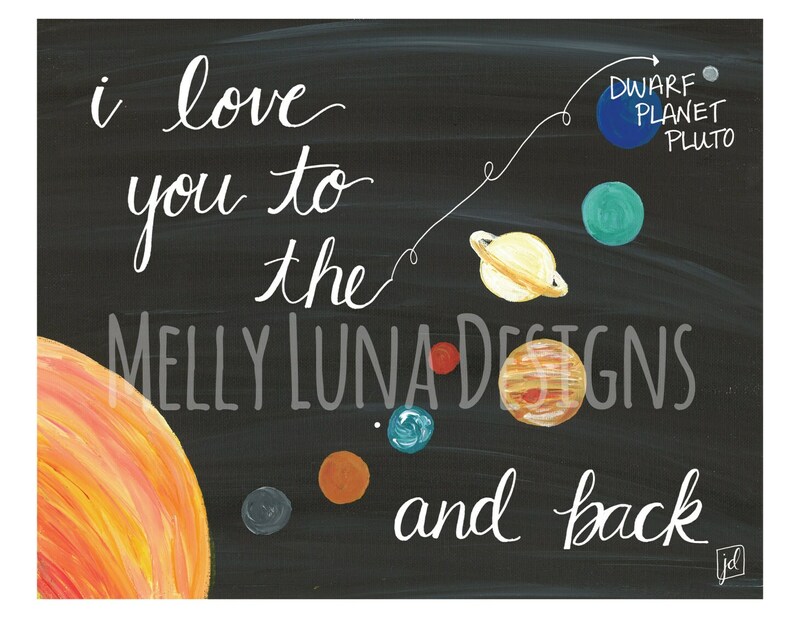 This is a reproduction of my original “I Love You To The Dwarf Planet Pluto and Back” acrylic painting on canvas with a hand-lettering message. 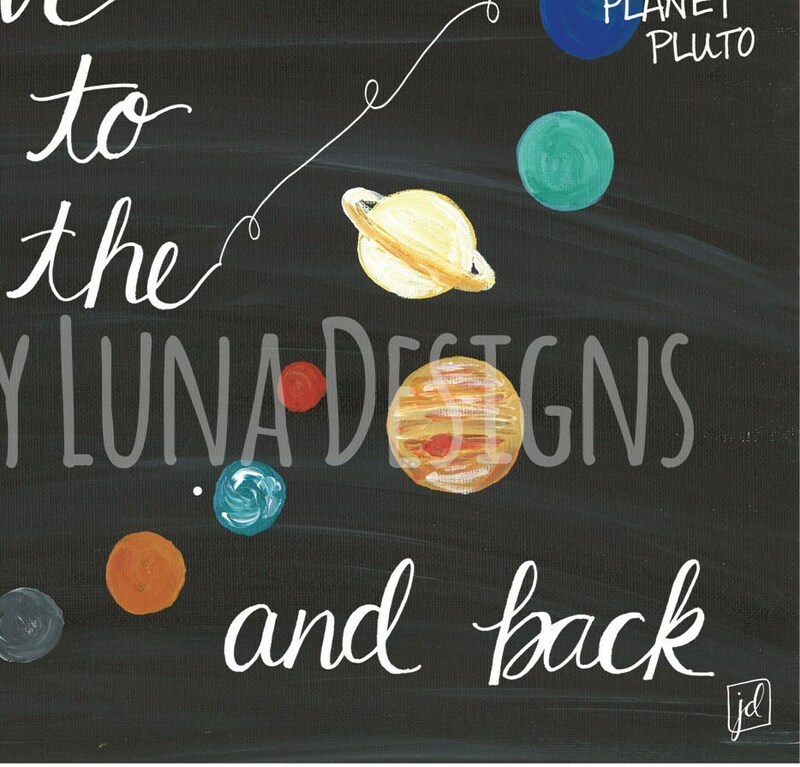 The original art was created with a combination of acrylic on canvas and hand lettering. The hand lettering was created with pen and ink and then overlaid through Photoshop processes on the abstract rainbow.